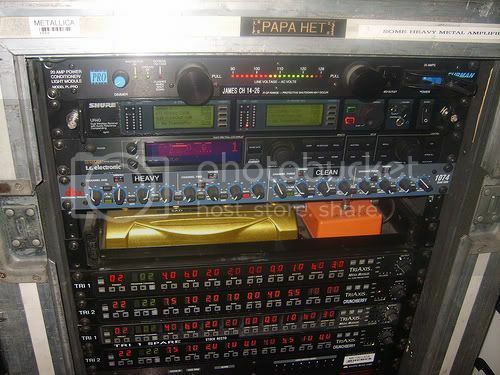 This photo of Matthew Bellamy's effects rack (used during the Black Hole and Revelations tour) shows he uses the MXR M-107 Phase 100 Effects Pedal. It can be seen in the pedal tray, to the left of the gray Keeley Compressor pedal. During the 1996 G3/Fire Garden tour, Vai used a Phase 100 in an off-stage rack drawer. 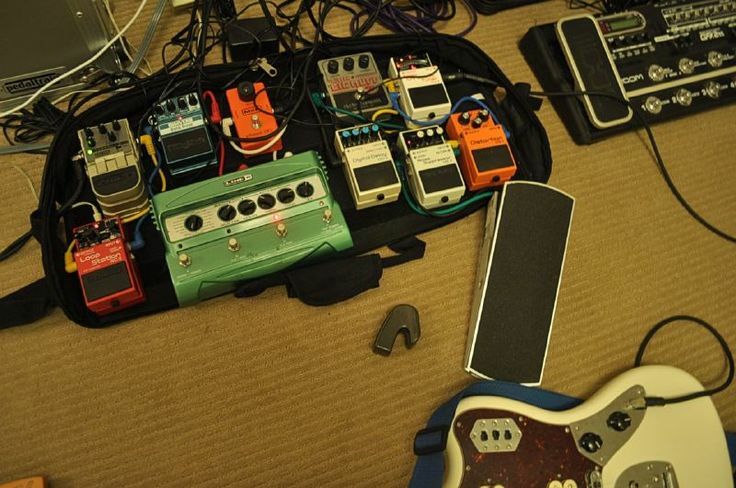 According to Tone Freak photo of Keuning's pedalboard, he uses the MXR Phase 100 pedal. "Keith Richards’ trippy tone on “Shattered”? Phase 100. The intuitive operation and bullet-proof reliability of MXR pedals ensured that those guitar heroes could reproduce the sounds of their hit records night after night on the road as well as in the recording studio." From http://www.kurtsequipment.com/ site, who claims the source for this info is Ernie Bailey itself, Kurt's guitar technician: Sources: 59). My conversations and emails with Earnie Bailey. 60). Various emails. Effects: 7). Orange MXR Phase 100 which was used for "Curmudgeon." This was owned by Kurt (59) and supposedly purchased at Voltage Guitars at the same time as his Fender XII and blue Mosrite (60). At 2:14 in this video an MXR Phase 100 is visible on Paul Gilbert's pedalboard. You can see a close up of Yannis' board [here](http://www.effectsbay.com/wp-content/uploads/2013/04/foals-yannis-philippakis-holy-fire-pedal-board.png), and a shot of it in the video. 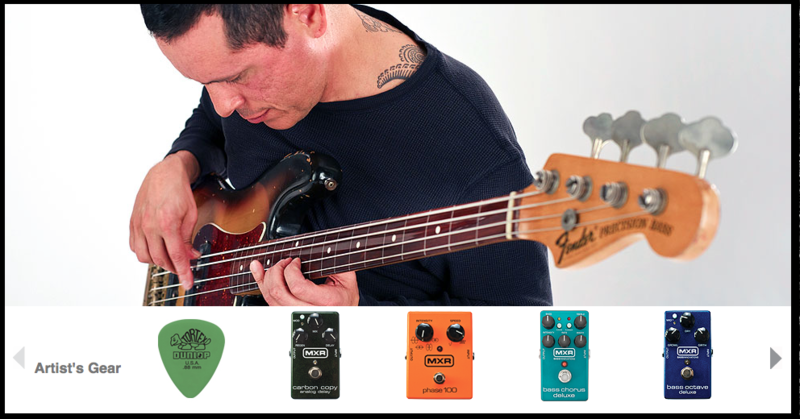 Juan Alderete uses an MXR M-107 Phase 100 Effects Pedal, according to [this page](http://www.jimdunlop.com/artist/juan-alderete) of Dunlop's website. For Load, I used a Boss Flanger, an MXR Phase 100, a Mu-Tron, a Korg G5 Bass Synth Processor, and an original Electro-Harmonix Big Muff with the 'pi' symbol on it. Hugh Harris uses the MXR M-107 Phase 100 Pedal on his pedalboard, as found in [this article](http://www.performing-musician.com/pm/nov07/articles/thekooksguitartech.htm). On this picture, there is a MXR Phase 100 on Ezra's board. "MXR Phase 100, for those of you looking for the Siamese Dream lead sound. you just pick one of these (modes) and turn the speed all the way down. It gives you a little bit of movement there." - Billy Corgan at 2:38. Mr. Brad Shultz uses the MXR M-107 Phase 100 Pedal on his pedalboard. Just like in 2012, LaLonde travels with two boards. Board No. 1 has a Dunlop GCB95 Cry Baby wah, Keeley Hooke Reverb, Menatone King of the Britains, Strymon Ola, MXR Phase 100, two custom, one-off Keeley pedals (bottom of board)—Delay and Tremolo, which are the circuits pulled from Keeley’s Super Mod Workstation—Boss DD-20 Giga Delay, Keeley DynaTrem, Mu-Tron III Envelope Filter, two MXR Carbon Copy Delays, and an EBS OctaBass. "For effects, I use a Roland Dimension D; Strymon BlueSky reverb and Timeline delay; and T-Rex and Coopersonic overdrives, plus old faithfuls like the MXR Dyna Comp and Phase 100." According to Guitar Geek's rig diagram, Mascis uses a MXR Phase 100 pedal. His pedalboard contains a Big Muff, a Mutron III, a Phase 100, and a Boomerang volume/wah pedal. In this Instagram photo posted by Veruca Salt, Gordon's band, her pedalboard is visible. Among the pedals, one of them that can be seen is the MXR Phase 100. "I'm using this MXR phaser pedal just turned all the way up so it's this warbly, wet kinda crazy sound." 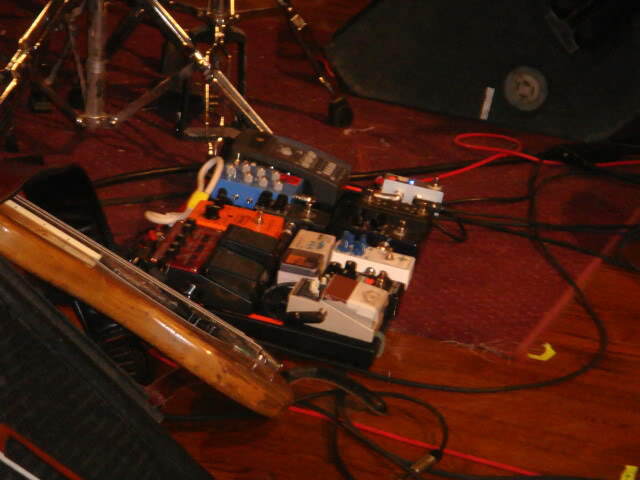 In this photo, which shows the custom-made pedalboard from Mike Hill (source [here](http://mikehillservices.com/latest-rig-build-25-w.asp)), the MXR Phase 100 can be seen. "I used an Epiphone Riviera from 1967, and played it through a MXR phase 100, with the Orange Tiny Terror amp, giving me a classic British tone. I tried some riffs on the demo for this song, so that was our starting point. The solo will be one of the best on the CD for sure. I love that Epiphone. I used it on the Butchering The Beatles song "Drive My Car" with Kip Winger singing a few years back. It screams in a great way." "Pedalboard nearing completion. Space noises"
The pedal is nestled on Hanni's pedal board to the left. 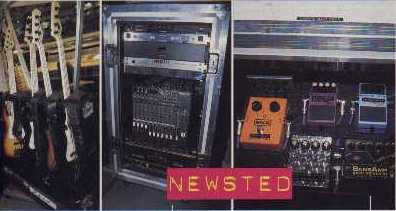 Tc Electronic shows Pratt's pedalboard where it can be seen. Interview with his technician and photos. 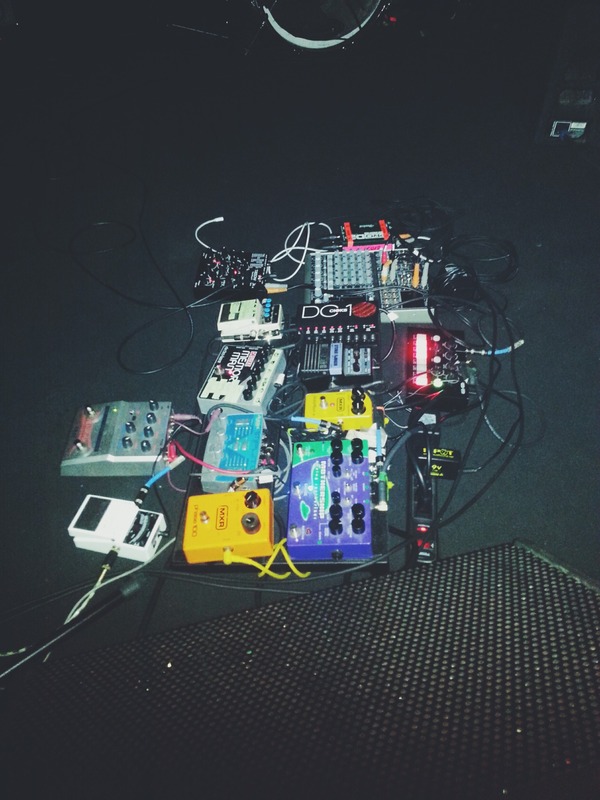 This photo shows his pedal board from an Avey Tare's Slasher Flicks show. According to Kadlecik's gear section, he uses reissued version of MXR Phase 100. The "Gear" page on the official Fu Manchu website clearly shows all the equipment of Scott Hill including the MXR Phase 100. In this interview by Premier Guitar, he talks about his gear equipment for the band including the MXR Phase 100 pedal. > It’s more my style since I often use it to mimic a fast Leslie speaker. Sometimes I swap this out for a Phase 100 or an Ibanez PT-9 which is great for Clash tunes with it’s higher resonance and squishier sound. Orange pedal second on the top row. This big brother of the Phase 90 offers an even broader range of sounds. Along with the speed control there is a 4-position rotary switch that selects between four different intensities, defined as preset waveform patterns. Great for guitar, bass, keys, vocals, and more! This is no doubt ?THE? phase tone that everybody's after, so maybe because of its fame, it was a major disappointment for me, sorry for that. I had and I even have phasers that sound better to my ears, my old Small Stone, in the first place. I'm unable to fork out a decent subtle or prominent sound from it, it sounds artificial at all settings. I even cannot reproduce an authentic Stones sound with it, despite that they were reportedly using Phase 100 on Some Girls and nearby tours. It does not help either that the intensity control was surprisingly mirrorred sometime during its long production years, so when somebody is referring to "position 2" you can never be sure which setting he's meaning. Some sources state that the old "script logo" version, or Eddie Van Halen's signature version sounds different and better. I cannot confirm that as yet with no chance of comparison, but truth may be in it, as my vintage Small Stone sounds warmer and fuller than the current nano version of EHX. a smalls tones a whole different approach to phasing and doesn't filter things much at all whereas the bandwidth of the mxr stuff is highly limited... small stone guys never like mxr phasers. Took me years to warm up to these guys. The odler ones definitely sound different than the newer ones just like the 2nd edition small stone I sued to use was different than my Russian ones which were in turn different than the new one I have around. I recently had to help a guitarist produce a some girls, shattered sound for a record Iw as engineering and my newer mxr stuff would not cut it. It was far too overtly phasey. The small stone was not tight enough sounding. We wound up going to a chorus or flanger to approximate it believe it or not. It wasn't dead on but it captured more of the warbly warmth than any new mxr pahsers could. Yes, you may be right that those sounds fall closer to a mild warm flanger than any of the current phasers, but I learned to like phasers just for themselves. I've found that there's no two similar phasers, they are somewhat unpredictible, but I found the Phase 100 the least likeable, I just feel it unnecessary at each settings, probably because the filtering you refer to. I used to have an Ibanez PT-9 that also had a character of it's own, that I cannot reproduce with neither the MXR nor the Small Stone. by the way, definitely try a phase 45... tis like the bad stone of mxr phasers and the mxr sound mates well with the 4 stage versus 8 stage phasing. If you can find one try a mutron… that's my desert island phaser. The I or the II, both are great. I use this for little twidley bits here and there, to add something completely out of the ordinary, subtly, into the mix. Works for a variety of phase tones, exp in would be nice. But not still a real solid pedal as you will find with MXR.